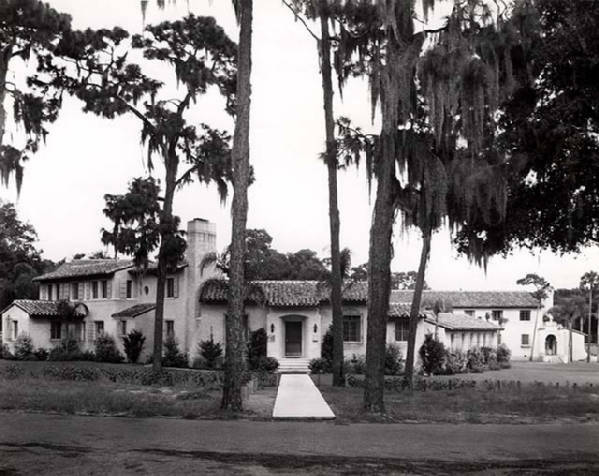 Historic preservation made the news again recently in Winter Park, when the board charged with overseeing the city’s historic architectural assets voted 5-2 to deny the Grant Chapel’s application for “Historic Resource” status. The arguments for and against the application presented an interesting case study in historic preservation theory—what is the tipping point when a building’s character becomes so compromised that it ceases to be historic? But the discussion failed to acknowledge the bigger issue for Winter Park, which is how very vulnerable the majority of our iconic historic buildings are to demolition or architecturally ill-conceived alterations. Grant Chapel was built on Winter Park’s West Side in 1935, and served as a house of worship for the predominantly African American population there for almost 70 years. When the congregation outgrew its location, it was purchased by developer Dan Bellows, who saw the development potential of its prime Hannibal Square location. For the past few years, Bellows has rented the property to Suzanne and Steve Graffham, who operate it as the “Winter Park Wedding Chapel,” primarily for destination weddings. 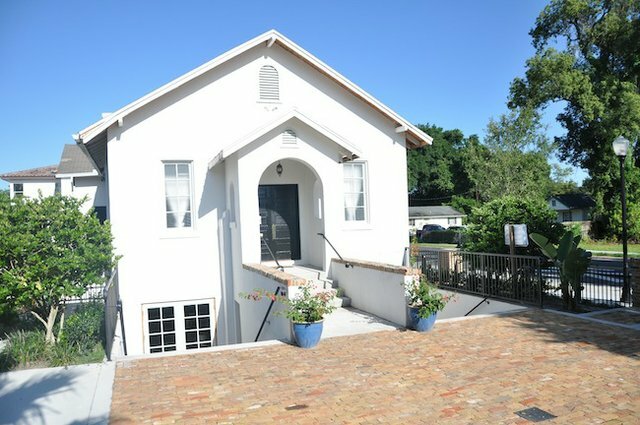 The deal specified that the new location for the Chapel would be re-zoned commercial if Bellows agreed to list the Chapel on the Winter Park Register of Historic Places, ostensibly protecting the structure from future hi-jinx. At the August meeting, it was apparent that these changes did not sit well with the HPB. The members who voted against designating the chapel as an historic resource argued that the front façade had been too dramatically altered with the addition of the basement, and that the building’s repositioning as a ‘faux gateway’ to the West Side took it out of its historical neighborhood context. The staff report (see pgs. 6 and following of : http://cityofwinterpark.org/docs/government/boards/agendas/HPB_agd_2014-08-13.pdf) acknowledged these changes, but recommended that the chapel be designated nonetheless, given that its significance primarily derives from the building’s historic use and not its architectural integrity. Several HPB members also expressed annoyance that the board had not been consulted before the structural changes were approved by city planning, and that it was a foregone conclusion that the building would be designated despite such extensive alterations. “I was shocked to see all the changes,” remarked board chairman Randall Glidden, who voted against designation. Board member Genean McKinnon expressed dismay that the planning department was aware of the changes that were being made, but didn’t inform the HPB until they were faits accompli, although she ultimately voted in favor of the designation. McKinnon agreed with staff that the building, even in its altered state, is better off protected than not. 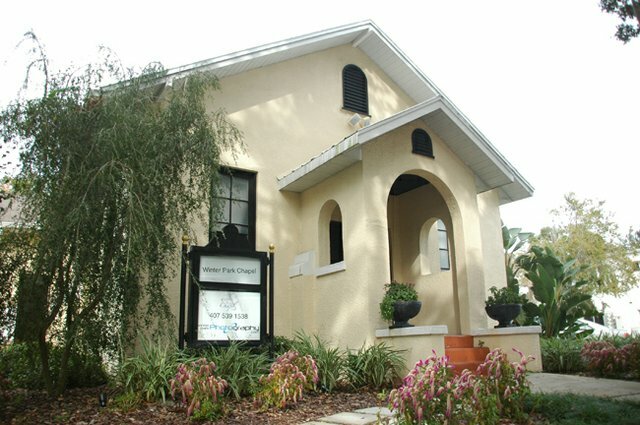 The owner agrees that on completion of the move, the Property and Grant Chapel Church Building shall be listed as a historic landmark property, and governed by Chapter 58, Land Development Code and the Winter Park Historic Preservation Commission. As such, the owner will not demolish or alter the Grant Chapel Church building structure in architectural style or integrity without the consent of the City. But here are the ambiguities: should the City have had the right to put the kibosh on the basement addition, or was it OK for Bellows to add it since the chapel wasn’t yet officially on the Register? And does “consent of the City” mean the HPB or just the city planning department? Because we all know that in Winter Park, until a structure has been voluntarily listed by its owner on the historic register (and apparently, the ink is dry), the HPB and city are legally powerless to protect a historic building from incompatible remodeling or demolition. The Grant Chapel case shines a bright light on other historic treasures in Winter Park, indeed buildings on which the city’s reputation as “charming, historic Winter Park” rests, that are completely vulnerable to the whim of the property owner. 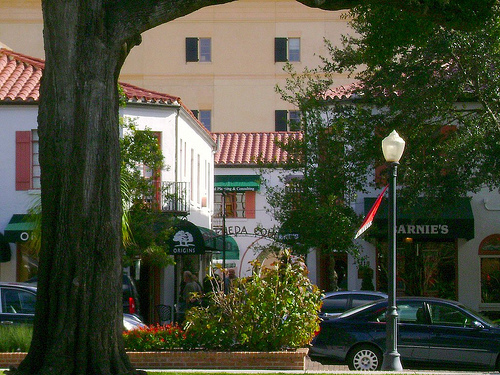 Did you know that while downtown Winter Park is a National Register Historic District, there are zero—count ‘em, ZERO—buildings in the ‘shopping district’ of Park Avenue that are on the Local Winter Park Register? And though it seems counterintuitive, it’s the LOCAL register, not the National, that provides a building protection from alteration or demolition. Consider Gamble Rogers’ celebrated Greeneda Court. It’s not unfathomable that a developer might one day conclude that an open courtyard on Park Avenue doesn’t generate any cash flow and fill it in. The 1882 Ergood Building (now Penzey’s), the Union State Bank Building (now Peterbrooke), the Pioneer Store (now Be on Park) and the Hamilton Hotel (now the Park Plaza) are protected from ruin only by the goodwill of their owners. Which is to say, they’re one bad sale away from serious peril. 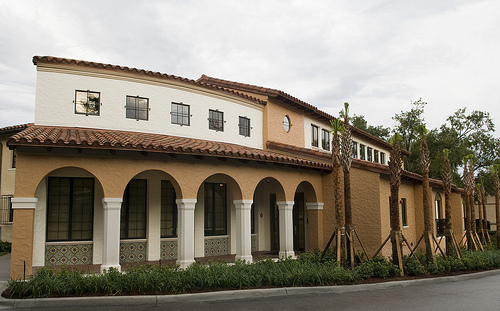 There’s not a single structure on the Rollins campus on the Winter Park Register. Are the Knowles Chapel and Annie Russell Theater on the Rollins campus safe? One would think so. Yet the college’s decision to raze gracious Strong Hall, designed by the celebrated architectural firm of Kiehnel and Elliott in 1939, to build a new, larger dormitory in 2013 does not bespeak a sensitivity to history, even though the Rollins website claims that the replacement dorm “has been designed in the Edison (sic) Misener (sic) tradition.” See this interesting report of the original building’s dedication in 1939 by then-President Hamilton Holt: http://archives.rollins.edu/cdm/compoundobject/collection/archland/id/643/rec/9. The equally beautiful Corrin Hall suffered a similar fate. So, while buildings like the Knowles and the Annie might be considered sacrosanct, if I were Mills Memorial Library or the College Arms, I’d make sure my affairs were in order. Not to spread hysteria, but Central Park is equally unprotected. Is it ludicrous that the City would allow something to threaten what is by any objective measure, the most valuable historic resource in the city? Any skeptics should see: Hotels, Carlisle. Yet any of these eventualities could be avoided if the City had the foresight to do what scores of other cities in Florida have done: to designate the contributing structures in the downtown central business district, and even on the Rollins campus, as historic on the local register, with or without the permission of the property owner. Is this heresy? A violation of our inalienable freedoms? If so, then Palm Beach, Delray Beach, West Palm Beach, Tampa, and Coral Gables, just to name a few, are under the rule of totalitarian regimes. Winter Park – both the politicians and property owners—may not have the stomach for designating an historic commercial district if the property owners don’t desire it. But if this is the case, we can’t be ‘shocked’ when a property owner compromises a treasured building’s historic design to increase profitability. What’s more, we better have the stomach to tell our grandchildren that downtown Winter Park used to be a place with a lot of historic charm.